Baby man is Gruffalo crazy. He loves his touch and feel Gruffalo book and has a soft toy Gruffalo (that my sister bought) that is half the size of him. 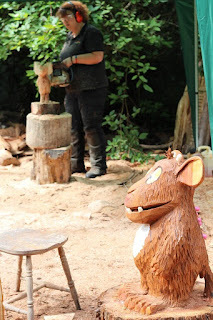 So on a trip back from Swansea, we decided to stop off at The Dean Heritage Centre to have a look at their sculptures depicting the Gruffalo's child. Bless him, he was very excited. There was a lot of pointing. The centre is only small, but they also have a nice little adventure playground and it is a beautiful place for taking photos. We spent a few hours wandering around and letting the boys run around before finishing our journey. As we left we saw a lady making some of the beautiful carvings. Dad..... I have a new project for you! bet you could make one! Wow, that's a great place, and a brilliant carving. My son would have loved that. On my list now. 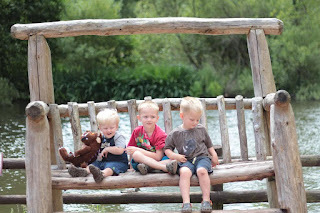 Youngest would love to see the Gruffolo sculptures. You must make one! It looks fab Lou !! My boy loves his noisy Gruffalo book so I think he'd like it here. We've got loads of tree trunks at the end go our garden, I'd better start carving !! ha ha, I get my Dad to make everything. He's in the middle of a Pirate Ship project atm! So wish we had a Gruffalo themed attraction close to us as both my boys love the stories and characters. Your little man is cute as a button! 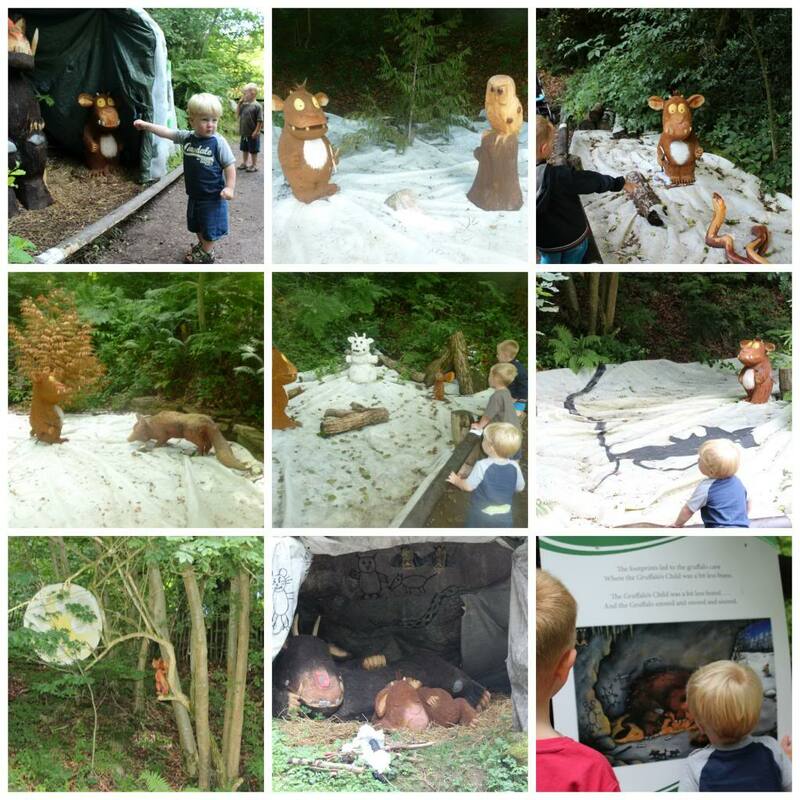 What a fantastic place - we love the Gruffalo too! It looks so pretty there and the carvings are brilliant. I do like the photo of them on the huge bench, they look so cute. Thanks for sharing your Gruffalo hunt with Country Kids. 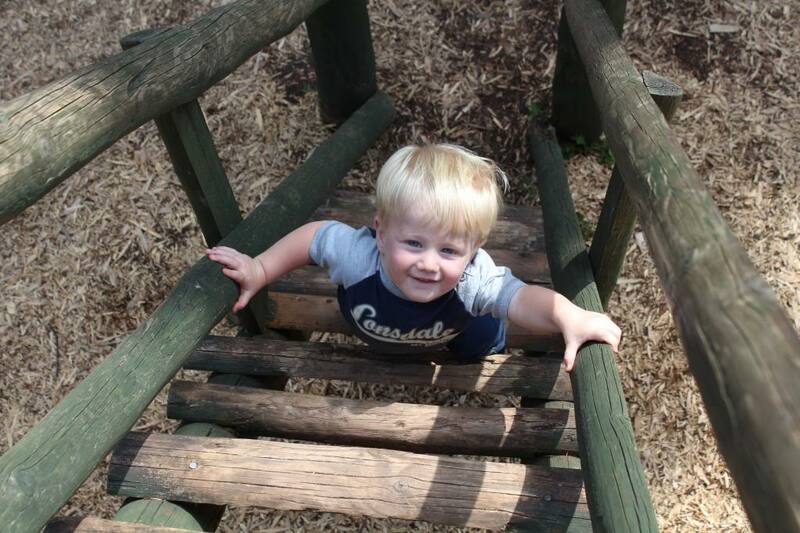 Aww that Gruffalo looks utterly adorable and I bet my little man would love one too. What a lovely place to visit! Wow, I want a carving for my garden too! !